This girl is proud of her hometown of Apex! (The town license plate can potentially be changed to another city if you'd like.) Her glass globe head is supported by a giant vintage funnel and sports a red bowl hat. 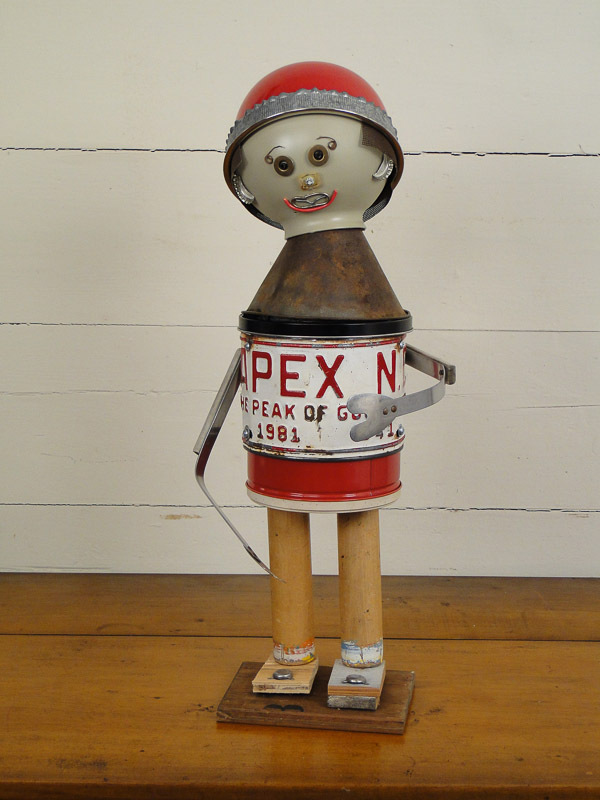 Her textile spool legs allow her to stand on a piece of wood from a drawer from the old Newlin Hardware store.